MyGateway, which is a portal that allows students, faculty and staff access to all their information and services through a single website, will be updated soon and users can expect many changes. Outgoing Fullerton College student and Distinguished Student of the Year Russell Hillabrand, earned five associate degrees and a full scholarship to Pomona College while overcoming various hurdles. Read the article on the OC Register website. From May 24 to 25, A.S. is giving away free coffee and tea in the Student Center (while supplies last). Snap, share, like, and tag us in all your Commencement photos using #FCGrad17 and look for a special Snapchat filter on May 27 during Commencement activities as we prepare to celebrate the class of 2017. 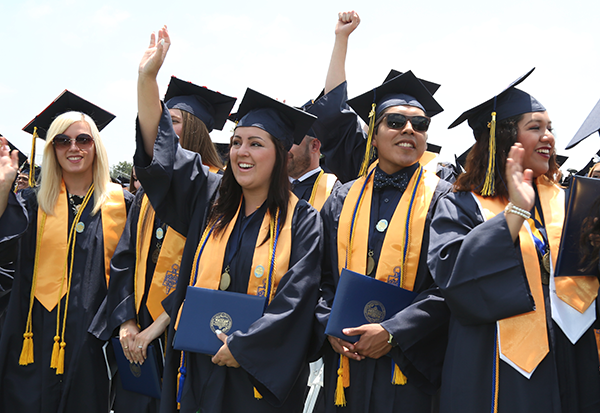 Get all the details you need about Commencement by visiting the website.